These Terms and Conditions apply to all orders, whether placed online, by telephone, in writing or in person. This website is operated by Spectrum floor-site Ltd (hereinafter referred to as ‘the company’) and is aimed primarily at a UK Mainland (excluding Northern Ireland) b2b audience, although some products may also be available for delivery to Northern Ireland, UK offshore islands, Irish Republic and to much of Europe, please contact us to establish availability of products to these destinations. Freight surcharges will apply to areas not within mainland England, Scotland or Wales, please establish with us these costs before placing an order. The company, employees, directors and associated companies accept no liability for loss or injury arising from the use of any information contained within this web site. All copyright, design rights and other intellectual property rights in our designs and products (and in the images, text and design of our websites) are and will remain the property of the company and / or the copyright holder if a third party. Any infringement of these rights will be pursued vigorously. When ordering more than one piece of carpet from the same width you are asked to inform us at the time of ordering if the carpets are required to be shade matched from the same production batch. It is not possible to shade match different widths of carpet. 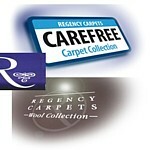 Carpets of the same type and colour, but ordered on separate occasions can not be guaranteed to shade match. It is the sole responsibility of the purchaser to ensure that measurements and quantities ordered are fit for the purpose intended and the company can take no responsibility for errors by the purchaser. The buyer will indemnify the company against any loss arising from any incorrect, misleading or false information provided by the buyer, whether by negligence or by wilful intent. All goods are offered subject to usual b2b trading terms and conditions. When ordering a product shown on this site, or otherwise offered, you are explicitly confirming your eligibility to purchase. We do not solicit, nor enter into, consumer contracts. Many goods are despatched by us on a 'next working day delivery' basis, but allowance should be made for the eventuality that the carrier is unable to deliver on the anticipated day, due to unforeseen circumstances such as weather conditions, road closures, etc. It is the responsibility of the purchaser to ensure that sufficient arrangements have been made to accept delivery of the goods. The company will not be responsible for any consequential loss or damage when this requirement has not been met. Any re-delivery costs incurred will be charged to the purchaser when sufficient arrangements have not been made to accept the delivery. Please note that most carriers operate a doorstep delivery service, which in the instance of tenement blocks, tower blocks or similar with shared access, means the doorstep entrance to the building rather than individual flats or apartments. Any insured liability with the carrier ceases at the doorstep and no responsibility will exist with ourselves or the carrier for any damage to goods or property past that point, howsoever caused. ‘Off The Shelf’ items may be considered for cancellation within 7 days and should be returned to us within 7 days of cancellation if accepted by the company, in which event a handling charge of 15% will be deducted from any refund, subject to a minimum charge of £25.00 in addition to any carriage and freight charges for which you are liable. You are required to contact the company in writing to obtain a ‘returns authorisation’ as no refunds will be processed without this. The purchaser is responsible for return carriage costs if the goods have already left our premises, the cost of returning an item will vary from product to product and a quote should be obtained from a parcels or freight carrier. Returned items should be in unused, undamaged and re-saleable condition. Items that have been returned that are not in a condition that would be regarded as reasonable, such as items that have been poorly handled, abused, cut or used will have an appropriate deduction made from any refund due. The ‘actual delivery cost’ of sending the items to you will be deducted from any refund. Clearance and graded items will not be accepted for return. Refunds are usually made within 14 days from cancellation or return. Some products may be offered in the general market place under more than one brand name, there may therefore occasionally be a variation of identification shown on wrapping materials, but the product delivered will be otherwise as per specification. All product information is to the best of our knowledge correct at the time of publication, however allowances should be made for specification changes made to any product by the manufacturer. References to underlay density is based on a system pioneered by Spectrum floor-site in the early 2000's to provide a distinction between the core density of respective products, these densities include medium, standard, high, very high, ultra high and premium, such reference is provided as a guide only and may vary from other companies who have subsequenty developed their own and sometimes simplified grading systems.